Power-sliding through the gravel or ripping down asphalt straight at full speed is what LiteHawk NOMAD 2WD is born to do! Classic Race Buggy styling combined with speed and performance means you are getting a robust R/C car that is ready for adventure! Included is an incredibly long list of upgrade features that are included as standard! That's right - things like metal drive shafts, metal axles, metal output shafts and real steel ball bearings are standard equipment! NOMAD 2WD has a mid-mounted motor with fully independent 4 wheel suspension, combined with high grip rubber tires - the list of equipment keeps on growing! We also include friction dampers for stable, sure footed control! NOMAD 2WD is fully assembled and ready for fun! Radio-Controlled Off Road Nomad Buggy Power-sliding through the gravel or ripping down asphalt straight at full speed is what LiteHawk NOMAD 2WD is born to do! 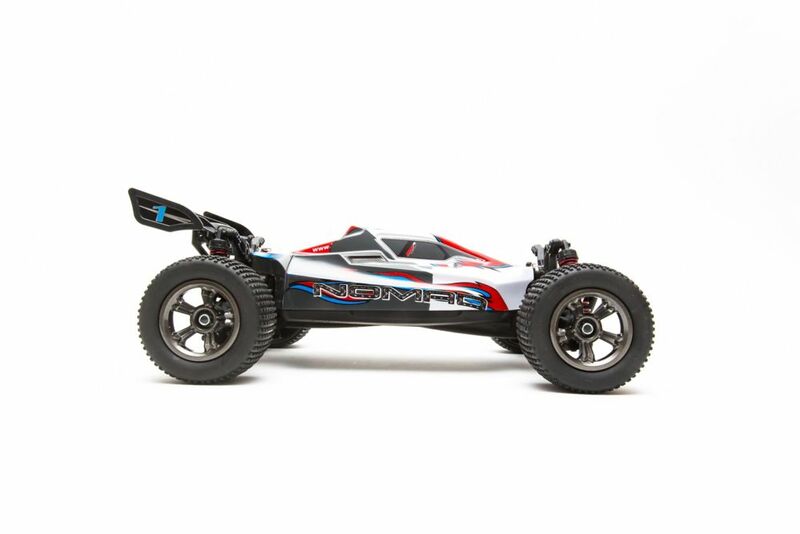 Classic Race Buggy styling combined with speed and performance means you are getting a robust R/C car that is ready for adventure! Included is an incredibly long list of upgrade features that are included as standard! That's right - things like metal drive shafts, metal axles, metal output shafts and real steel ball bearings are standard equipment! NOMAD 2WD has a mid-mounted motor with fully independent 4 wheel suspension, combined with high grip rubber tires - the list of equipment keeps on growing! We also include friction dampers for stable, sure footed control! NOMAD 2WD is fully assembled and ready for fun!